The TOM 2-part series was cross-posted on Somatosphere. In October 2011, a small, international gathering of twenty-seven anthropologists and psychologists took place at the Stanford Humanities Center, organized by Stanford anthropology professor Tanya Luhrmann and Culture and Mind postdoctoral fellows Julia Cassaniti, and Jocelyn Marrow.The meeting was made possible by a generous gift from the Robert Lemelson Foundation. Nestled under the dappled shade of oak trees, the center provided a beautiful setting for a relaxed yet animated discussion on the concept of theory of mind, including the possibility of cross-cultural, comparative research program. (See end of post for full list of participants. The meeting explored “cultural variations in the way minds are imagined [that] have consequences for mental experience (broadly defined) and the nature of social interaction.” Invited speakers briefly summarized their work (papers were circulated in advance) but most of each session and many lively coffee-break conversations were devoted to exploring related questions and research opportunities. The workshop opened on Thursday evening with a talk by anthropologist Rita Astuti (London School of Economics) covering the history of ToM and the challenges of cross-cultural, interdisciplinary work. Below is a summary of the Friday morning session on “interiority and boundedness,” featuring talks by anthropologists Joel Robbins (UC San Diego), Julia, and Tanya. Currently, the mainstream definition in the psychiatric neuroscience literature characterizes ToM as the cognitive (or “high level”) capacity to “mind read,” that is, “to attribute mental states like thoughts, beliefs, intentions, and feelings to oneself and others,” (Montag et al., 2011). But, as several attendees noted, some assumptions implicit in this sort of definition – e.g., the extent to which ToM is based on explicit inferences of internally held propositions – presume an understanding of mind which is western. 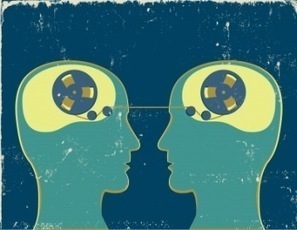 Anthropologists have long been aware that the western model of mind is not shared by all people. Those at the meeting had assembled to explore what they knew about the consequences of different models of mind for mental experience, developmental process, psychiatric illness, and the adults experience of inferring intentions. In the first talk of Friday’s session, anthropologist Joel Robbins (UC San Diego) discussed his research on the Urapmin of Papua New Guinea, who, although generally described as sociocentric or relational, have a very strong sense of a core self that is virtually unknowable to others. For the Urapmin, the heart is the seat of thoughts, feelings, and intentions, and it is believed “one cannot know what goes on in the heart of another person.” The Urapmin appear not to use speech as a vehicle for expressing thoughts, feelings, or intentions, so much so that the language lacks verbs like thank, apologize, promise, and lie, and they are distrustful of others’ speech. (Although persons’ mental states are opaque to one another, Joel was quick to distinguish this form of “innate” opacity – a core self doubly wrapped within the heart/body – from the communicative opacity and non-expressivity cultivated by the Yap that Jason Throop would go on to describe in the afternoon session.) At the same time, according to Joel, the Urapmin regularly say that people “do what they want to do,” or “are driven by their hearts,” and they have a rich vocabulary for different kinds of emotions and thoughts that arise in the heart. This means that in the Urapmin case the belief that people cannot know what others are thinking and feeling does not, as some have predicted, correlate with a general lack of cultural elaboration of ideas about the contents of the mind and their importance in motivating action. Joel also said that in the 1970s all adults in the community converted to charismatic Christianity and consequently face conflicting demands from, on the one hand, a religion that requires sincerity in speech and honesty in the confession of one’s sins to God and, on the other, from a traditional belief in the impossibility of such kinds of communication. Joel was intrigued by the suggestion, but also noted the complexity of an investigation into subvocalization. Interestingly, he mentioned that when people “hear God,” when the Holy Spirit tells them something, they do not “hear a voice,” but rather they experience the Holy Spirit “as a certainty in my heart,” although Joel also said this was common for charismatics generally. The second talk by Julia Cassaniti, based on her research in a small community in Thailand, explored how Buddhist ideas are lived in everyday life. She described three key concepts: mindfulness, kwan, and karma. According to her position paper, “the concentration and focus of the mind [mindfulness] is both a goal and a representation of healthy minds and bodies.” When the mind is distracted, the implication is that our “souls” or “ghosts” (kwan) are scattered. Julia likened kwan to our understanding of “wits.” Keeping our minds (or wits) balanced and permeable in the sense of open to experiences and aware of (and wary of ) our own and others’ intentions (“out in the air”) keeps our mind/wits together. Karmic energy (“the energy of intentionality”), which is destabilizing, arises when the mind becomes fixed on particular ideas, desires, or goals that “shoot out from us.” Consequently, people are reluctant to hazard a guess about what another person might be thinking or feeling, because this presumes the other is possessed of a single, bounded, autonomous mind that is wholly separate from one’s own. A participant wondered what the relationship was between what people tell you in an interview and what they may be doing in everyday life. Julia said her informants seemed to actively practice what they believed, when, say, they were confronted with a predicament like the loss of money. Referring to soul-calling ceremonies, in which a white string bracelet used to “keep one’s kwan together,” is attached to the wrist, Aparecida Vilaça (Museu Nacional/Universidade Federal do Rio de Janeiro) recalled a similar practice in Amazonia in which an object – a necklace of beads – is considered “outside but also inside.” If the necklace breaks apart, so does one’s identity or personality (the wearer “goes crazy”). Julia said the white-string bracelets weren’t necessarily used to hold something inside; they’re not permanent and when the string wears out, the bracelet is put in a river and floats away.Another participant, who was familiar with a different Buddhist practice, said that in that context the intentions of the practitioners are very strong, but the point is to not get too attached to them or too obsessed with moving in a particular direction. Julia seemed to feel that the idea of having intentions but just not becoming too attached to them might have a deleterious looping effect, but concerns with attachment resonated (she described a festival in which lanterns or little boats are set afloat as a reminder not to become too attached to worries or intentions). Regarding the different perceptions of the mind that can be gleaned from the many varieties of religious practice in Thailand, China, and the US, Hazel Markus noted how, in the West, the mind is perceived as influencing or making things happen in the world. But “effortfully striving for something may not always be the best way to make things happen, in fact it’s often problematic, “ she said, “and that’s what’s so difficult for Westerners to grasp.” Another participant wondered if kwan stays in one piece or disintegrates into separate pieces when it “wanders off.” Julia said it appeared to stay in one piece. But she also said kwan is sometimes referred to in the singular, sometimes in the plural in the literature. The lack of noun/verb inflection in the language makes it difficult to determine. She felt, however, kwan was a concept best understood in the plural. The theme of the final talk of the session by Tanya Luhrmann was how theory of mind changes mental experience. The talk focused on American experientially oriented evangelical Christians, who live in a world dominated by a “Westernized, Christianized, secularized theory of mind.” Three important features of this model are: (1) a wall between mind and world, which spirits cannot cross; (2) the interior word is important (i.e., “emotions and feelings count for something, they have causal consequences, and can make you sick”; (3) what’s in the mind is not real “in the way that tables and chairs are real.” Evangelical Christians hold a different theory of mind, in which God can cross the boundaries of the mind, and in which what is in the mind is real—but in a different manner than tables and chairs. These Christians must learn to adopt this new theory of mind. They cultivate a personal, interactive relationship with God, who is perceived as a person very much like oneself. The churches essentially teach a theory of mind in which individuals attend to the everyday flow of stream of consciousness and learn to “cherry pick out” particular thoughts, mental images, and feelings. Those that feel different, spontaneous, or “not me,” are identified as potentially emanating from God. Learning to orient to certain kinds of internal sensory information, asking for guidance from God on the most mundane matters of everyday life, and “daydreaming” about God as a continuous, warm, supportive presence (and conversation partner) is a kind of attention training paradigm for learning to respond to life’s bigger questions/challenges according to what God tells you to do. Tanya said a conflict arises in terms of being taught to orient to inner experience and cultivate an everyday relationship with God while, at the same time, not considering what occurs in the mind real. The result, Tanya said, is a kind of oscillating back and forth between the (fictional) mind/(real/fictional) world and the emergence of “a third (ontological) domain of reality” (“real but different”). Tanya then described an experiment in which she randomized people into different prayer practices; those engaged in an imaginative prayer practice, which included daydreaming about God (vs. a control group engaged in Bible study) improved their mental imagery vividness and salience and their ability to use mental imagery and increased the likeliness of unusual sensory experiences. Many participants in this group also said “God became more real to them.” Based on these results, Tanya said she was interested in the idea of a cross-cultural research program that would look at dimensions of the mind like interiority, boundedness, whether the content of the mind is real, etc., in order to ask the following questions: What is the significance given to inner thought? What is the inner-voice dialogue? What is the significance given to inner sensory experience, what kinds of experience count, what about unusual sensory experiences? Do dreams matter, if so, how? And what are the consequences of these different emphases on mental experience? Tanya also felt Aparecida’s comment about the idea of objects containing the mind would make an important research query. Tanya also commented that the American evangelical movement is a representation of God based on a specific representation of the American mind. She said there was a “buyer’s market” in God concepts designed for the secular mind because there is an acute awareness that people don’t necessarily believe in God. Hazel Markus felt an under-explored areas was the role of Protestant Christianity in giving life to an independent self, or form of agency, “that really underlies most of our theorizing.” Hazel thought this model of self wasn’t working for evangelical Christians, who may be seeking a more relational model (“the other was too harsh and too interior”). Tanya agreed, saying the evangelical movement (particularly the emphasis on personal experience) was a direct response to secularism. Regarding the idea of a “buyer’s market,” Doug Hollan (UCLA) wondered how we can distinguish between a process of self selection (where a person has a certain set of proclivities, like hearing voices, and shops around for accommodating churches) vs. the argument of being socialized into certain practices that focus on “hearing” God. Tanya mentioned previous work using the Tellegen Absorption Scale in which she found a close relationship between a proclivity for absorption (according to the scale) and reporting an unusual sensory experience. Interestingly, referring to the randomized prayer practice trial she described earlier, absorption did not predict whether you experienced God as a person (being assigned to the imaginative prayer practice did) or whether you heard God, although it did predict lifetime report of hearing God. Another participant suggested keeping in mind the significance of individual differences in terms of temperament (or different attentional capacities or differences on the absorption scale). Several questions emerged during the general discussion. One participantagain brought up the question of how to explore what really happens in everyday life (vs. what the interviewee reports) in the sense of trying to understand what kinds of moments in life these cultural philosophies of mind are for (e.g., just those instances in which intentions are thwarted?) How can this be explored more systematically, that is, other than, say, looking at examples of reported speech? Also, in communities that follow different practices, how much of a difference is there in terms of the way an individual thinks, or theorizes, about his/her own and others’ mental states? Joel suggested that, at least among the Urapmin, their particular ToM operates constantly, it’s not just an explanatory model. Taking the Urapmin as an example, John Lucy suggested looking at ToM in terms of an overall system of social behavior rather than as a localized set of practices. How the culture acknowledges interior states (or doesn’t), would be a component. As the session drew to a close, the conversation continued to flow around these and other intriguing questions. Frith, U., & Frith, C. (2010). The social brain: Allowing humans to boldly go where no other species has been. Philosophical Transactions of the Royal Society B: Biological Sciences, 365(1537),165–176. Hurly, S., & Chater, N. Eds. (2005). Perspectives on imitation. (Vols. 1–2). Cambridge, MA: MIT Press. Premack, D. G., & Woodruff, G. (1978). Does the chimpanzee have a theory of mind? Behavioral and Brain Sciences, 1, 515–526. Wimmer, H. & Perner, J. (1983). Beliefs about beliefs: Representation and constraining function of wrong beliefs in young children’s understanding of deception. Cognition, 13, 41–68. In October 2011 a small, international gathering of twenty-seven anthropologists and psychologists took place at the Stanford Humanities Center, organized by Stanford anthropology professor Tanya Luhrmann and Culture and Mind postdoctoral fellows Julia Cassaniti, and Jocelyn Marrow, with financial support from the Robert Lemelson Foundation. (See end of post for full list of participants. The difference is that the questions Doug Hollan (1992), and others before him, asked may not have been answerable then. But new work emerging from anthropology, psychology, and the social cognitive, cultural, and critical neuroscience research programs is beginning to elucidate the different perceptions and mechanisms underlying the self, both stable individual differences as well as the idea of self as a (neuro-)cultural “product and process,” in either case, with the beneficial effect of “markedly expanding the range of the normal” (Markus & Kitayama, 2010). Hazel also mentioned that neuroscientists across subdisciplines (interested in, e.g., the effects of stress) share the same names for common units of analysis, like the HPA axis, suggesting a similar kind of agreement might help our theorizing about what is a self in socio-cultural contexts. For a start, she described the different theories of agency that come up in different contexts – e.g., the independent vs. interdependent model of self. (This model has been robustly supported by experimental evidence in cultural neuroscience with respect to even basic processes like visual perception; see Goh & Park, 2010.) She suggested focusing on identifying some key dimensions of the non-western models of mind, such as how interior or bounded the self is, which would go hand in hand with the independent vs. interdependent model of agency. For example, feelings predict physical and mental health in cultures like the US that are organized around an independent model, whereas among the Japanese, who have significantly more negative feelings about themselves than Americans do, feelings are not predictive of health and wellbeing (but, interestingly, “level of relational harmony” is; see Kitayama, Karasawa, Curhan, Ryff, & Markus, 2010). This is not just an East/West dichotomy; Hazel said she’s seen very similar patterns of data – such as more holistic processing – among working-class Americans and more independent patterns among people living in northern Japan. In the discussion that followed, Allen Tran was reminded of Heather Spector Hallman’s research on Japanese friendship among adolescents, for whom good friends are those who point out one’s faults (Hallman, 2011). The purpose of self and other criticism is to point out ways to improve, Hazel said. Allen asked Hazel to describe the differences in how negative affect is internalized in Japan vs. the West, which led to some interesting questions regarding feelings and health and wellbeing, at some (physiological) level does negative affect appear the same for both American and Japanese populations? Jocelyn then described an interesting asymmetry: “Hierarchical juniors were expected to shoulder the labor of understanding the minds and hearts of their superiors, while seniors had no equivalent responsibility to interpret the minds and hearts of their juniors from the immediate context” of juniors’ words and deeds. The different temporal dimensions were particularly interesting, i.e., although seniors bear “heavy responsibility” for juniors’ wellbeing in a general sense over the latters’ life courses, they privilege their own sense of what is best for juniors, rather than focusing on fulfilling juniors’ expressed wishes. Ideally, seniors behave benevolently paternalistic towards their charges. Juniors’ transgressions, on the other hand, may be perceived as the fault of their elders. In response to a question from Joel Robbins (“What happen when the junior has more knowledge or experience than the elder?”) Jocelyn clarified that her model related more to moral behavior than to expertise in certain areas (like driving or computers). Julia Cassaniti wondered what happened if elders gave bad advice. Tanya mentioned the work of Bambi Chapin who suggested that “the seniors failure to understand, failure to respond to the demands of the juniors” may have contributed to the civil war in Sri Lanka. Jocelyn said bad advice might lead to anger that an elder misled them or failed to take care of them. Another participant wondered if family therapy was much more prevalent than individual therapy. Jocelyn said yes, but she also said – and this may not be typical for other parts of India – there was a strong sense among the therapists that certain patients were being mistreated and that the therapists needed to modify things in the family environment. Another common intervention was to bring in an outside senior to make a senior in the family understand what they were doing was wrong. A question about translation turned the focus of the discussion to the more general issue of how minds interact on a nonverbal as well as verbal basis. In general, as one participant observed, very little is known about the mechanisms that mediate social interaction. Hazel Markus related the lack of theorizing about intersubjectivity to our cultural ideas of self and mind (independent, interior, bounded). John Lucy said our (over-psychologized) ToM is a solution to a problem of social coordination that tries to solve it without reference to social coordination. Tanya noted a possible generalization: in some cultures oriented toward an interdependent view of self (like Japan), social coordination is achieved via heightened mind-reading, whereas in other cultures, like that of the Urapmin, coordination is achieved via nonverbal acts like the social exchange of objects. Joel said that what counts as social coordination differs in different places. The Urapmin will put up with all kinds of misfires, even across hierarchies; despite the gift exchange, there is a lot of tolerance for lack of or less coordination without dissecting the underlying intention (the same verb means “to lie” and “to be wrong”). Social coordination includes the different ways in which we physically interact with each other, as Julia pointed out. (People may be less verbally attuned to one another.) Another participant asked Joel whether conversations among the Urapmin ever look chaotic, particularly when – Joel continued the thought – you can’t ask a speaker what she means? Another question, do we (especially “WEIRD” Americans with an independent view of self [Henrich, 2010]) misrepresent in the other direction, by focusing on the capacity for mind-reading? Aparecida Vilaça (Museu Nacional/Universidade Federal do Rio de Janeiro), with reference to Roy Wagner (1975/1981), observed that it depends on what the culture “creates as innate.” For westerners, “the innate is individualities” and action is focused on what one needs to coordinate or regulate. For other cultures, the “innate” is relationships and action is focused on differentiating, on improvisation. ABSTRACT: People living in multicultural environments often encounter situations which require them to acquire different cultural schemas and to switch between these cultural schemas depending on their immediate sociocultural context. Prior behavioral studies show that priming cultural schemas reliably impacts mental processes and behavior underlying self-concept. However, less well understood is whether or not cultural priming affects neurobiological mechanisms underlying the self. Here we examined whether priming cultural values of individualism and collectivism in bicultural individuals affects neural activity in cortical midline structures underlying self-relevant processes using functional magnetic resonance imaging. Biculturals primed with individualistic values showed increased activation within medial prefrontal cortex (MPFC) and posterior cingulate cortex (PCC) during general relative to contextual self-judgments, whereas biculturals primed with collectivistic values showed increased response within MPFC and PCC during contextual relative to general self-judgments. Moreover, degree of cultural priming was positively correlated with degree of MPFC and PCC activity during culturally congruent self-judgments. These findings illustrate the dynamic influence of culture on neural representations underlying the self and, more broadly, suggest a neurobiological basis by which people acculturate to novel environments. Geertz, C. (1984). “From the native’s point of view”: On the nature of anthropological understanding. In R. A. Shweder & R. A. LeVine (Eds. ),Culture theory: Essays on mind, self, and emotion (pp. 123–136). New York: Cambridge University Press. Original work published 1974. Hallman, H. (2011). Lure of the intimate: Power practices in Japanese adolescent friendship (Doctoral dissertation). Retrieved October 19, 2011, from Dissertations & Theses @ University of California. (Publication No. AAT 3465785). ABSTRACT: Cultural differences in the way Westerners and East Asians perceive and attend to visual objects and contexts have now been shown across many behavioral studies. Westerners display more attention to objects and their features, in line with an analytic processing style, whereas East Asians attend more to contextual relationship, reflecting holistic processing. In this article, we review these behavioral differences and relate them to neuroimaging studies that show the impact of cultural differences even on ventral visual processing of objects and contexts. We additionally consider the evidence showing how extended experience within a culture via aging affects ventral visual function. We conclude that the brain findings are in agreement with the analytic/holistic dichotomy of Western and East Asian visual processing styles. Westerners engage greater object-processing activity while East Asians engage more context-processing activity in the ventral visual areas of the brain. Although such cultural imaging studies are still few, they provide important early evidence supporting the importance of cultural experiences in sculpting visual processing at the neural level. Han, S., & Northoff, G. (2008). Culture-sensitive neural substrates of human cognition: A transcultural neuroimaging approach. Nature Reviews Neuroscience, 9, 646–654. ABSTRACT: Our brains and minds are shaped by our experiences, which mainly occur in the context of the culture in which we develop and live. Although psychologists have provided abundant evidence for diversity of human cognition and behaviour across cultures, the question of whether the neural correlates of human cognition are also culture-dependent is often not considered by neuroscientists. However, recent transcultural neuroimaging studies have demonstrated that one’s cultural background can influence the neural activity that underlies both high- and low-level cognitive functions. The findings provide a novel approach by which to distinguish culture-sensitive from culture-invariant neural mechanisms of human cognition. Hollan, D. (1992). Cross-cultural differences in the self. Journal of Anthropological Research, 48(4), 283–300. ABSTRACT: A cross-cultural survey was used to examine two hypotheses designed to link culture to wellbeing and health. The first hypothesis states that people are motivated toward prevalent cultural mandates of either independence (personal control) in the United States or interdependence (relational harmony) in Japan. As predicted, Americans with compromised personal control and Japanese with strained relationships reported high perceived constraint. The second hypothesis holds that people achieve wellbeing and health through actualizing the respective cultural mandates in their modes of being. As predicted, the strongest predictor of wellbeing and health was personal control in the United States, but the absence of relational strain in Japan. All analyses controlled for age, gender, educational attainment, and personality traits. The overall pattern of findings underscores culturally distinct pathways (independent versus interdependent) in achieving the positive life outcomes. ABSTRACT: Human adults typically respond faster to their own face than to the faces of others. However, in Chinese participants, this self-face advantage is lost in the presence of one’s supervisor, and they respond faster to their supervisor’s face than to their own. While this “boss effect” suggests a strong modulation of self-processing in the presence of influential social superiors, the current study examined whether this effect was true across cultures. Given the wealth of literature on cultural differences between collectivist, interdependent versus individualistic, independent self-construals, we hypothesized that the boss effect might be weaker in independent than interdependent cultures. Twenty European American college students were asked to identify orientations of their own face or their supervisors’ face. We found that European Americans, unlike Chinese participants, did not show a “boss effect” and maintained the self-face advantage even in the presence of their supervisor’s face. Interestingly, however, their self-face advantage decreased as their ratings of their boss’s perceived social status increased, suggesting that self-processing in Americans is influenced more by one’s social status than by one’s hierarchical position as a social superior. In addition, when their boss’s face was presented with a labmate’s face, American participants responded faster to the boss’s face, indicating that the boss may represent general social dominance rather than a direct negative threat to oneself, in more independent cultures. Altogether, these results demonstrate a strong cultural modulation of self-processing in social contexts and suggest that the very concept of social positions, such as a boss, may hold markedly different meanings to the self across Western and East Asian cultures. ABSTRACT: The study of culture and self casts psychology’s understanding of the self, identity, or agency as central to the analysis and interpretation of behavior and demonstrates that cultures and selves define and build upon each other in an ongoing cycle of mutual constitution. In a selective review of theoretical and empirical work, we define self and what the self does, define culture and how it constitutes the self (and vice versa), define independence and interdependence and determine how they shape psychological functioning, and examine the continuing challenges and controversies in the study of culture and self. We propose that a self is the “me” at the center of experience—a continually developing sense of awareness and agency that guides actions and takes shape as the individual, both brain and body, becomes attuned to various environments. Selves incorporate the patterning of their various environments and thus confer particular and culture-specific form and function to the psychological processes they organize (e.g., attention, perception, cognition, emotion, motivation, interpersonal relationship, group). In turn, as selves engage with their sociocultural contexts, they reinforce and sometimes change the ideas, practices, and institutions of these environments. ABSTRACT: In this paper we consider two major issues: conceptual-experimental approaches to the self, and the neuroanatomical substrate of the self. We distinguish content- and processed-based concepts of the self that entail different experimental strategies, and anatomically, we investigate the concept of midline structures in further detail and present a novel view on the anatomy of an integrated subcortical-cortical midline system. Presenting meta-analytic evidence, we show that the anterior paralimbic, e.g. midline, regions do indeed seem to be specific for self-specific stimuli. We conclude that future investigation of the self need to develop novel concepts that are more empirically plausible than those currently in use. Different concepts of self will require novel experimental designs that include, for example, the brain’s resting state activity as an independent variable. Modifications of both conceptual and anatomical dimensions will allow an empirically more plausible account of the relationship between brain and self. Wagner, R. (1981). The invention of culture (Rev. ed.). Chicago: University of Chicago Press.